Vittorio Leonardi is a South African stand-up comedian. His shape puts him in the “genetically Italian” category. The mop of curly hair makes him look like a refugee from a Heavy Metal group. He didn’t always fit in to the sleepy small-town vibe of Welkom (in the fairly quiet but interesting Free State province of South Africa). For the past 10 years he’s been seen on South African comedy stages from Polokwane (In the North) to Cape Town (In the South). This media-junkie has a way of taking any movie or Television show and showing it to us through his own quirky lens lending his own style of observational comedy to his delivery. The results are often as thought-provoking as they are hilarious, and the big guy’s sleepy charm makes him come across as a gleeful little boy. Tackling a wide variety of subjects ranging from relationships and the battle of the sexes to politics and the existence of aliens, he is a regular on the Comedy Express, Nomad P.R. and Whacked Management Circuits. Vittorio has also appeared in the Parker Express Video and Comedy Showcase. He has also opened for some of South Africa’s top comedians including veteran comedian Barry Hilton. Vittorio Leoardi got introduced to stand-up comedy when he was 9 years old. His 2 older brothers had recordings of the great comedy masters (Richard Pryor, Eddie Murphy and Bill Cosby). He remembers waiting for everyone to leave the house so he could sneak into his brothers’ rooms to listen to them. At that stage he didn’t understand half of the jokes but he did remember them parrot-fashion and used to drive his parents crazy reciting them at the drop of a hat. Since starting his career as Stand-up Comedian he has also taken up the mantle of master of ceremonies at various comedy shows around Joburg since 2004. One of Vittorio’s all-time favourite sets has to be when he performed in his home town of Welkom where his parents got to see him on stage for the first time. Afterwards, his father remarked, “I had no idea I had such a crazy son.” He has also been a part of The Improv Express since 2003 and The Starship Improvise since 2006 which performs improvised comedy similar to what’s on the widely-loved Who’s Line Is It Anyway? TV show. In August / September 2004 he took part in the Comedy All-Stars Comedy Competition at the Armchair Theatre in Cape Town. He was the only Joburg-based stand-up to compete. He was placed at second place at the end of the competition. He became the resident MC for The Comedy Twist presented by Acappella Productions at Tanz Café in Bryanston (in Johannesburg) on the first and last Wednesday night of each month. His residency ran from March 2007 to November 2008. In August 2008 Vittorio Leonardi was awarded 2 Comedy Industry Awards – which are hosted by Acapella Productions and voted for by members of the South African Comedy Industry. He walked off with The Trusty Steed Award (for most reliable comedian) and The Scribe Award (for highest turnover of new material). He has also worked in the animations industry with Ron Major and Major Productions using the patented Chatscreen software (which allows the voice artist to give a voice and personality to a live-action animated character that can be developed for any occasion). It’s very unique as it allows the voice artist to interact with passers-by in real time. Vittorio made appearances on Comedy Showcase in 2001 and the first season of Laugh Out Loud (featuring Jeremy Mansfield and Darren “Wackhead” Simpson of Highveld Stereo fame) in 2005 on South African television. He was part of the team that pranked Jeremy Mansfield. He also got to do some more serious acting work appearing as a shady gun dealer on the show One Way in 2006. A Vittorio Leonardi is also on the Joe Parker Comedy Express II DVD. In 2009 Vittorio Leonardi appeared on the silver screen in hit film about aliens in South Africa, District 9. He played the role of Michael Bloemstein (an MNU Alien Civil Affairs Representative). In May 2009 he became the head writer for and one of the performers in the SABC 3 political satire show, The Last Say (which is hosted by Darren Maule). He’s also been interviewed on various South African radio stations over the years like SA FM, TUKS FM and 702. I’m sure that we’ll see more of Vittorio Leonardi in the future. I recently had the privilege of conducting an interview with him. Hopes this provides readers with more insight about the man. Do you think South Africa has a political / social climate in which stand-up comedy can flourish? Oh yes indeed. It’s a very simple process. The powers that be start sprouting nonsensical rubbish and every comic in the country is ready to receive the free material. Sometimes the comments are so silly that the only sound you’ll hear are frantic scribblings of hundreds of comedians making notes before those ideas go back to wherever they came from inside their heads. How did you become a stand-up comedian? I was studying drama at Technikon Pretoria – now Tshwane University of Technology – and was on my way to finishing up the course. A friend of mine – Brendon Berg – whom I’d met in the course had been doing stand-up for about 2 years. He wanted to know if I’d like to try my hand at it. I had always been good at memorizing material of comics I listened and was always trying to make others laugh but I had never tried writing my own set. About 2 weeks later I asked him if the offer was still open and on Friday the 27th of August 1999, I did my first set at The Funny Farm in The Randburg Waterfront. It was truly a horrendous set. I remember very little of it However, I kept coming back every Friday. I took the advice of fellow comics and implemented it into my set. A big rule about stand-up is you have to stick with it. You have to keep coming back. Your hardest set is not your first, it’s second and third and fourth. And then you’ll either improve or stay average/bad. What would your advice be to the inspired wanna be comedians out there ? As I said, listen to the advice other comics give you on your set. Experience is a great help and all the natural talent in the world means little if not tempered and strengthened with experience. Lose your ego – no one likes someone who thinks their poop doesn’t stink and an audience is never afraid to tell what they think of you.. Understand why you want to do comedy. If you’re using it as a stepping stone to other things, money or because you want to be famous, you’re in it for the wrong reasons. Passion should be what drives you. The rest comes on its own. Stage time is all important. You can practice in front of the mirror all you want but you’ll only know how you’re doing when you get on stage. An audience will let you know right quick. In the beginning, focus on the A.R.T. of Stand-up comedy. These were rules given to me by Joe Parker and they do work. R – Rhythm: The rate and pace at which you deliver your material. Speak too fast and you lose them. Speak too slow and they may get bored. Every comic has their own and if you listen/watch/attend enough comedy you’ll pick up on it. There is a correct way to deliver any material. By observing enough comics, you’ll see how they do it. Your rhythm is unique to you. T – Timing: Most people can be taught how to deliver a line and make it funny. Some are born with a natural talent for it. In either case, the more time you put in and the more experience you gather, the better the material will be and the better a comic you will be. Talent is nothing without training. Training will only take you so far. I saw you in the movie District 9 in 2009. Was this a good experience? In the end yes. I met some great people and formed some good relationships. When we started, none of us knew how the film would turn out or how it would be received. Most of us just wanted to survive the edit. When it came time for the premiere, the hype was everywhere. After the screening, we were all impressed. When you’re there filming everyday, you don’t see the magic dust that gets applied later on. It’s a job at the time. When you see the finished product, only then do see the full scope of the project. Would you star in the sequel for District 9 if they ever decide to do one? Oh yes. I’m currently involved in a nefarious plot to make sure I’m in every scene. If you could choose any superhero which one would you want to play in the movies and why? Well, a portly Wolverine would never work. I’d like to play Spawn. There’s something about the cape and the glowing eyes and the dark defender thing that I’ve always liked. Not made keen on the journey to hell though. A Predator would be fun too. I always wondered just how hard it is to take out Geiger’s Alien. And there are also massive advantages to the cloaking device which I can’t go into here. If you are not a geek, find one nearby and have him explain it to you. 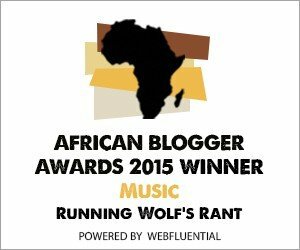 What are your thoughts on the South African entertainment industry in general? I can speak about the comedy industry. Music is not my field. The corporate market is very cut-throat. Everyone is in it for themselves or their crew. There are cliques that have formed out of self preservation I’d surmise and they cover each others backs. On the club scene, most everyone works with everyone although there are some promoters who like to use only certain comics and no one else. It can become very limiting since there are only so many comics and so many gigs a month. Audiences do get bored with the same entertainment. If you could be a politician in South Africa, which one would you be and why? I’d like to be the now deceased Oliver Tambo. I want to know if he was ever sour about creating the ANC and then having everything but the airport named after Madiba. I can think of several I’d like to possess for a day. I would possess them, make them set themselves on fire and see them try blame that on the legacy of apartheid. I understand that you live in Johannesburg. What are your thoughts on the biggest city in Sub Saharan Africa? Joburg needs a bit more “chill out” and a lot more “relax” and a hint of “calm down”. Once we get that sorted out I think cruising on the freeways will be a more relaxed affair. Compassion we’d like to invest in too. I dunno. Maybe I’m aiming too high. What I would like to see is a state study into why Joburg people drive faster when it rains. Do you think South Africa will make a success of hosting the 2010 FIFA World Cup? We have to. Too much is riding on it for it not to be. I wouldn’t be surprised if there’s an imposed media blackout so there’s no negative coverage of the event. However, with that many media people out here it’ll be a failed endeavour real quick. If you were the president of South Africa, what would you change? I’d like to create a new agency called The Government Oversight Committee. It’s purpose will be to evaluate all those that are in power from the president on down. It’s very simple. Anyone elected to the office of president is given their 5 year term. Halfway through, their performance is evaluated. If by three years, they haven’t lived up to half their campaign promises, they finish their term, are evaluated again and if they are still lacking, they are never allowed to run for office again. Ever. Once removed, their overall score determines what job they qualify for thereafter. But if you didn’t measure up, you’re never allowed higher than middle management. Another radical idea I had was electing officials to positions they earned and are qualified for. I think the struggle heroes need to move aside and let the qualified have a go for the next 16 years. Fair is fair. Running Wolf’s Rant would like to thank Vittorio for this interview and we wish him all of the best for his endeavours, exploits and adventures in the future. Keep on making South Africa proud. Watch this space for regular updates in the Interviews and Humor categories. way kewl , thanks Monique ! would like to see him live!